Success should be defined by the individual. It’s deeply personal. As Financial Advisor Recruiters, we’re here to help you achieve the success that you envision… and deserve. Whether it’s a different payout structure, a location that meets your family’s needs, working with great people, or a culture that supports both your career and personal goals, we’ll help you find that perfect fit! We work with the best firms and the best candidates. Willis Consulting is highly regarded throughout the Financial Services Industry for finding and placing Top Talent. We’ve spent years building an outstanding knowledge base and solid relationships throughout the financial investment community. Our extensive contacts and strong relationships ensure that we know where the best opportunities are for you today…and into the future. You Know Your Worth, and we’ll help you get it. Aligning your experience and abilities with Willis as your Financial Advisor Recruitment Firm gives you much greater Negotiating Power than most Investment Consultants can hope to achieve on their own. Our recruiters are exclusive to the Financial Services Industry, providing us with valuable insights when it comes to negotiating terms for talented Financial Advisors. We’ll help you achieve your goals…and your worth! Your Business is Your Business. Considering a move to a new firm or selling a financial advisory business requires absolute discretion, and we take that seriously. We know confidentiality is key to minimizing the disruption for you and your clients. Whether you are ready for a move now or simply exploring opportunities for the future, Willis is here to help guide you while assuring complete confidentiality. You take care of your clients…let Willis take care of you! Are you an Experienced Bank-Based, Wirehouse or Independent Financial Advisor looking to make a change? With over 20 years of broad industry knowledge and extensive industry contacts, we have the widest range of high-quality opportunities available in the Financial Services Industry. Are you looking to sell your successful practice to a larger firm or up-and-coming organization? Willis Consulting can assist you with your practice valuation and confidentially connect you with Pre-Qualified Buyers. In most cases, the Buyer will pay our fee! Are you a Successful Sales Person with a Proven Track Record looking to break into a Long-Term Career in this High-Growth Industry? We can get you access to the financial advisor training programs of the Financial Services Industry’s biggest players. As a successful Financial Advisor, you have a tremendous array of career options and Willis Consulting, as your financial head hunter, can open up a world of opportunities for you. Our approach is to listen carefully and thoroughly understand both your career and life objectives before we present any career opportunities. Our mission is to place you with a firm that will best complement your career goals and life objectives—whether that is with a brokerage firm, custodian, registered investment advisor, or a bank. We will always represent you and your needs, professionally and discreetly. Breakway Brokers are in Demand! Currently, there are approximately 110,000 independent FA’s in the United States. The trend towards practice ownership and breakaway firms is at an all time high and continues to grow. You’ve worked hard to develop a solid relationship with your clients and you can expect a loyal client following when you make the change to an independent broker. Generally independent financial firms offer breakaway consultants a very high payout, and Willis Consulting represents a wide variety of independent and RIA options. Are you thinking about winding down? There comes a time in every independent Financial Advisor’s life when they would rather spend more time in flip-flops than flipping stocks. 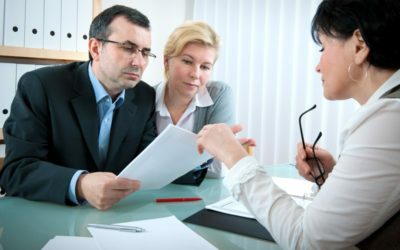 Willis Consulting can assist you with your practice valuation and confidentially connect you with pre-qualified buyers. And, in most cases, the party buying a financial services practice will pay our fee. We’ve helped thousands of Independant Owners succesfully evaluate their business, find a qualified buyer and negotiate the paperwork necessary for a smooth transition into a new chapter of their lives! Our highly experienced and professional Financial Services Recruiters are veterans of the industry; most have worked in the financial services arena as producers and managers. Their vast networks, resources and relationships enable them to present career candidates with opportunities that meet their life and career objectives. We invite you to view our backgrounds and qualifications. Get to know us; we look forward to getting to know you. Willis Consulting works with client firms to recruit the most successful Financial Services Professionals available. Get in touch now if you are ready to find your best fit. Founded in 2000, and headquartered in Los Angeles, California, Willis Consulting is a boutique financial services recruiting firm that specializes in meeting the complex and unique needs of established Financial Advisors. We understand each client situation is unique and requires a tailored approach. 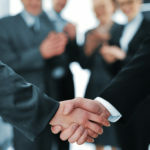 We are dedicated to investing time, energy, and hard work to create trust and credibility with our client firms.